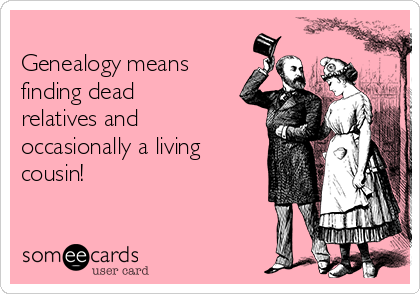 This is the second part of my two-part series on genealogy myths. I’ve found genealogy research to be one of the most fascinating and engrossing activities I’ve ever engaged in. It’s not that my ancestors include anyone noteworthy (other than my Mayflower relatives). I’ve just always found people interesting. I can listen to someone talk about himself or herself for a long time. I love a good tale. Both amateur and professional genealogists use data from the U.S. Census, taken every 10 years, in building family trees. However, census takers apparently weren’t always that concerned about spelling people’s names correctly. Also, some folks didn’t know how to spell their last names or didn’t care. I realize that the way my husband’s family spells McIntire isn’t the most common spelling, but it’s actually quite prevalent in the area we’re from. 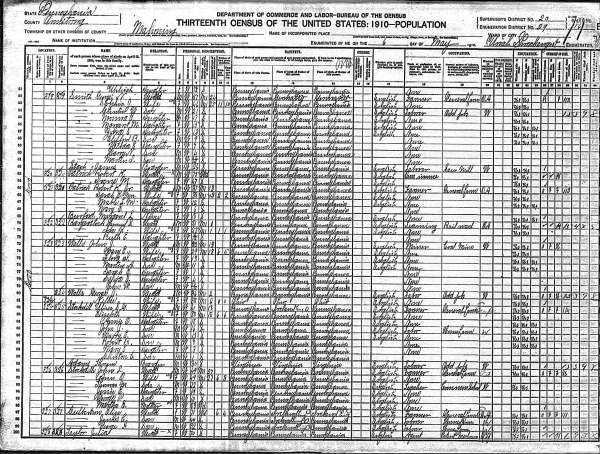 In looking back through U.S. Census records of his relatives, I’ve seen several different spellings of McIntire, including McIntyre and Mac Intyre. Most websites with access to U.S. Census data conduct searches of similar names automatically, but this technology isn’t perfect, and can miss some spelling variations. In addition, some people go by their middle names rather than their first names. You may find someone listed by their first name on one census and by their middle name on the next census. 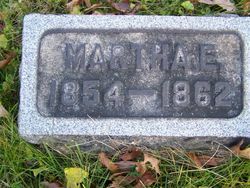 A person’s gravestone might even have a different name on it than what you find on any available census. At one point, I was curious about my great grandmother’s first husband, even though he was no blood relation to me. He died young, leaving her widowed with a small child. I knew his name, but had a lot of trouble locating any information about him until I discovered that he had gone by his middle name. My great grandmother’s second child, with her second husband, was my grandfather, who also went by his middle name. 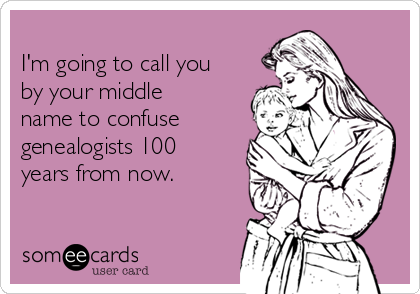 You can often find patterns in names that’ll help you determine whether you have the right person in your family tree. Often, a woman’s maiden name gets used as someone’s middle name. Then, it may get passed down as a family name, first or middle, through generations, long after anyone remembers where the name came from. I haven’t figured out where the name Preston came from yet, but if I see someone in Western Pennsylvania with a first or middle name of Preston and the last name Stockdill or Stockdale, chances are pretty good that we’re at least distantly related. Many children didn’t live to see adulthood and some adults died of diseases which rarely kill people in the U.S. today, like tuberculosis and appendicitis. However, some people did live into their 70s, 80s and even 90s. I found an ancestor of my husband who was still alive according to U.S. Census records in 1920, at the age of 95. I’ve also located numerous ancestors of mine who lived fairly long lives, along with many others who died young. On PBS’s “Finding Your Roots,” which researches the genealogy of celebrity guests, Kevin Bacon and Kyra Sedgwick, who are husband and wife, discovered that they’re distant cousins. This didn’t surprise them, since Kyra had, for some reason, suspected this. I haven’t found any evidence that I’m distantly related to my husband, but I wouldn’t be shocked if that were the case. His ancestors on both sides and mine on my mom’s side come from the same countries and settled in the same areas of Western Pennsylvania. 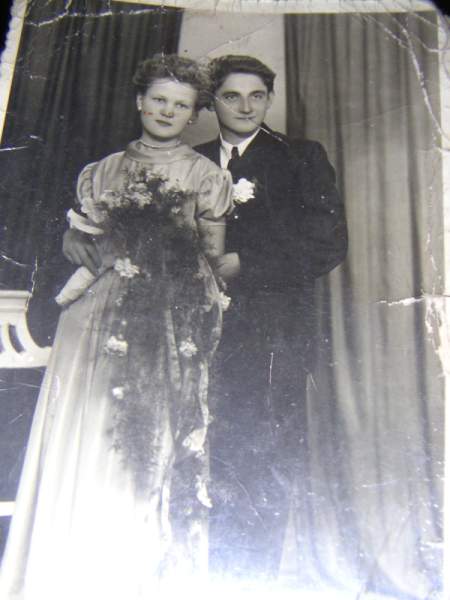 I have found evidence that we have relatives from previous generations who married each other. The area remains largely rural to this day, and a century ago, people had far fewer choices of marriage partners. There weren’t that many marriageable men and women within a reasonable buggy ride of your house. It seems logical that my ancestors and my husband’s might have known each other and even married each other. 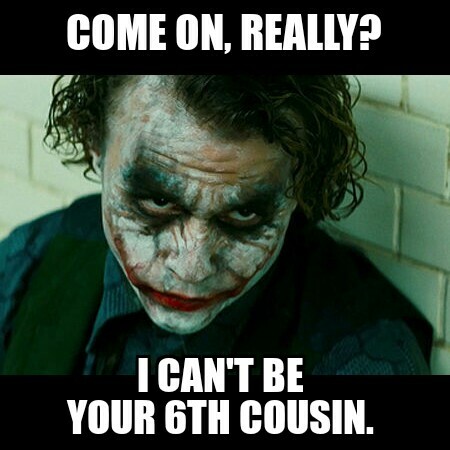 Several years ago, I located, by accident, a 6th cousin of mine, who lives about 20 miles from me. He lives in North Carolina like I do, but spent many years researching a branch of his family that has deep roots in Western Pennsylvania. That branch of his family is also a part of my family tree. If you’d like a quick and relatively inexpensive way of potentially finding lost relatives, plus discovering more about the origins of your ancestors, you could get genealogy DNA testing like I did. By almost any measure I can think of, we live in much better days than any of the generations I’ve researched. Not too long ago, women had no reliable birth control, so many of them spent nearly all of their childbearing years either pregnant or nursing. Some women might give birth to 8, 10 or more kids. Because there were no childhood vaccines or antibiotics, half or more of these children wouldn’t survive to adulthood. I came across one family in my research that lost all five of their small children in the late 1800s to a typhoid outbreak. Various improvements have contributed to a decline in the infant mortality rate of more than 90 percent between 1915 and 1997. In the year 1900, in some U.S. cities, more than 30 percent of infants didn’t make it to their first birthdays. Even adults used to die of ailments at a much higher rate than they do today. If you were a married man or woman living a century ago who had children, and your spouse passed away, you had very few options. Either remarry immediately or give your children to someone else, maybe permanently. Women had few career choices, and none of them paid enough to cover the cost of paying someone to watch your children. Widowed men who didn’t have a mother, sister or aunt available to watch their children had to rush to find a new bride. If you lived in a rural area, you had few choices of spouse. I’m not saying people never married for love, but they couldn’t have been terribly picky. You might meet someone at church, or maybe the local fair or festival. Despite what many people might think, we also live in a much less violent world than our ancestors did. Researching my family history makes it abundantly clear how good we have it now. Yes, we have our problems, but we have birth control, penicillin and other antibiotics, and vaccines to prevent illnesses that used to kill or cripple hundreds of thousands of children every year. If you have baby boomer parents or grandparents, ask them about the horrific scourge of polio, and how people lined up to get the vaccine when it came out. One celebrity guest on “Finding Your Roots” found out that his ancestors owned slaves. Unlike other guests who discover unsavory tidbits about their family’s past, he demanded that the slavery information be cut from the show. My ancestors didn’t own slaves – in fact, some of them helped escaped slaves via the Underground Railroad. However, my early forebears weren’t very kind to the Native Americans inhabiting the land where they wanted to live. Some of our ancestors may have done things that we find abhorrent. We can’t control the behavior of our family members in the present, we certainly can’t change what our relatives did many decades or centuries ago. 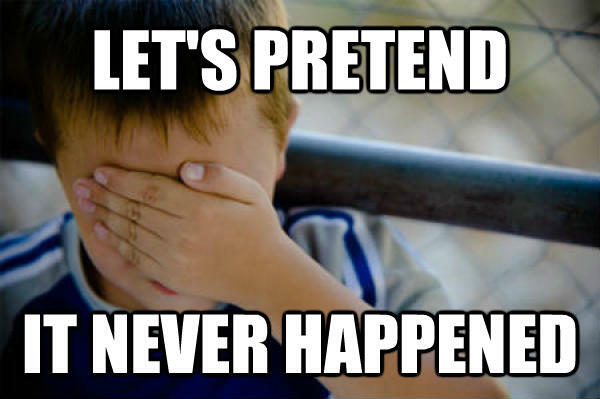 Pretending it didn’t happen, though, doesn’t make it so. This post was originally published in October 2015 and last updated in January 2019. 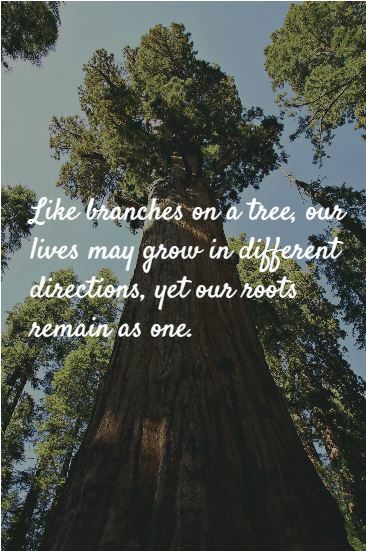 Read more of my genealogy related posts here. If you enjoyed this post, could you please like it on Facebook?